We Need More Pokemon Go Special Events! When Niantic announced the Halloween events, I was excited. Pokemon that I don’t normally encounter that often would become more common; that resulted in me being able to catch enough of Gastly, Drowzee, and Meowth, and get enough of their candies in order to evolve strong versions of them. Then we had that special Santa Hat Pikachu event which helped me get a strong Raichu. Finally, we had that special Kanto starter event wherein I encountered enough Charmanders to evolve a strong battling Charizard. What followed was an uneventful January, and now Pokemon Go is starting to become stale once again, especially for someone like me who has already caught 130 or more of the available Pokemon types. I’m not sure exactly what’s causing the lack of special events in recent weeks; I thought Niantic had figured out that they need to run these events regularly to sustain interest in the game. In case the lack of events is because Niantic doesn’t have any ideas, I’ve prepared a short list of possible Pokemon Go events that could quickly be done. As the main draw to Pokemon Go is to catch Pokemon, my list consists of events centered around the increased spawn rates of certain Pokemon – increased item rates, candies, and Stardust won’t really change the Pokemon Go experience. Because what every Pokemon Go player really wants is to “catch ’em all”. Valentine’s Day Event – Pink Pokemon! Let me start this list with the nearest calendar event in mind – Valentine’s Day! Luvdisc still isn’t in the game and there aren’t any love- or heart-themed Pokemon specifically, so forgive me if I recommend making pink-colored Pokemon appear more frequently during the Valentine’s Day event. Jigglypuff and Clefairy are uncommon Pokemon that should appear more frequently during this event; Niantic can also include their evolved states Wigglytuff and Clefable to fill up the group. Chansey, a Pokemon that’s quite rare, can be the “cherry on top” of this grouping. From a gameplay perspective, a higher Chansey spawn rate would help fill out a lot of Pokedexes, while the increased Jigglypuff and Clefairy spawn rates would give Pokemon Go battlers a viable option when it comes to battling against all these Dragonites that keep guarding gyms. Valentine’s Day is just around the corner so Niantic, if you’re listening, you only have a few days to implement this event. The main core of Pokemon Go is to “catch ’em all” – to collect all of the Pokemon and register everything in the game’s Pokedex. 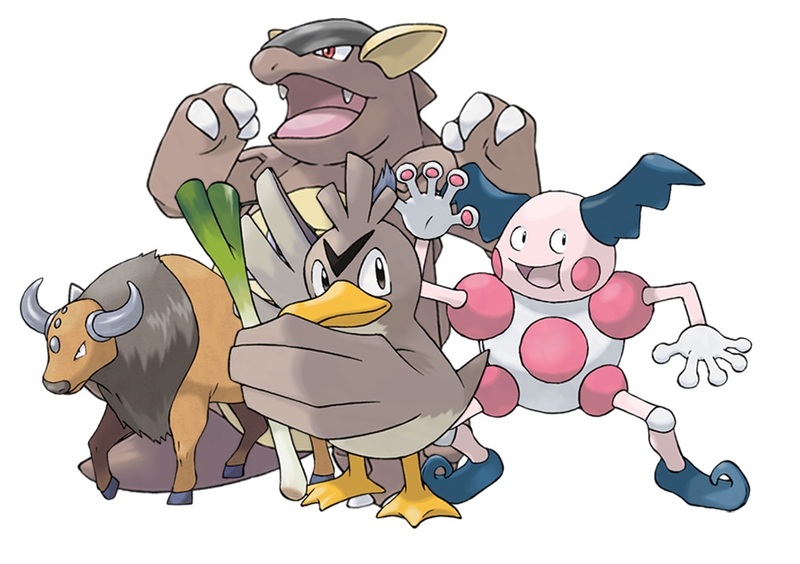 One big roadblock to achieving this is the group of region-specific Pokemon – this four can only be encountered in specific parts of the world. I really don’t get why Niantic did this; it’s not clear what they were trying to drive. This won’t result in more in-app purchases, and I think there are only a few people who would actually be willing to travel to different continents just to catch Pokemon. But what’s done is done, and we have these region-specific Pokemon in the game. I’m sure that there will be some former Pokemon Go players who would be enticed to start playing again if/when this group of Pokemon becomes available across the world, especially those who are only missing these. Also, once the Generation 2 Pokemon gets introduced in the game, Niantic can choose another set of Pokemon that they can limit to specific regions so there’s no use in limiting these Pokemon to jetsetters. 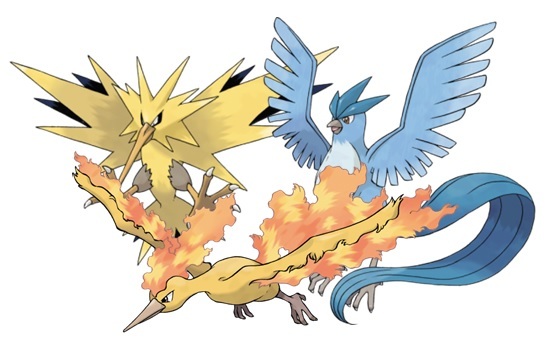 Clockwise from top left: Zapdos, Articuno, and Moltres. People have been clamoring about the addition of Gen 2 Pokemon in the game, but we don’t even have all of Gen 1 in the game! Among those that have yet to appear are a trio of Pokemon that’s known as the Legendary Birds of Kanto: Articuno, Moltres, and Zapdos. An event centered around the much awaited appearance of these three would certainly be big and should be able to entice former Pokemon Go players to start filling out their Pokedexes again. These three Pokemon are also some of the strongest in Gen 1; introducing them into Pokemon Go would add some much needed options when it comes to gym assignments. As far as the actual event mechanics itself, simply making these Legendary Pokemon appear in the wild won’t fit their Legendary status – they need special treatment. One idea is to introduce “Legendary” eggs – a special version of a 10K egg that’s guaranteed to hatch a Legendary. Make the first Legendary egg easy to obtain, and have harder requirements for succeeding eggs. I’d recommend giving out a Legendary Egg at the start of the event, then awarding Legendary Eggs every time a player collects the Defender Bonus and he has three or more Gyms taken over. Regardless of how this Legendary event is going to be executed, current Pokemon Go players have been waiting for these three Pokemon to be included. Niantic should definitely devote an entire special event just for them. 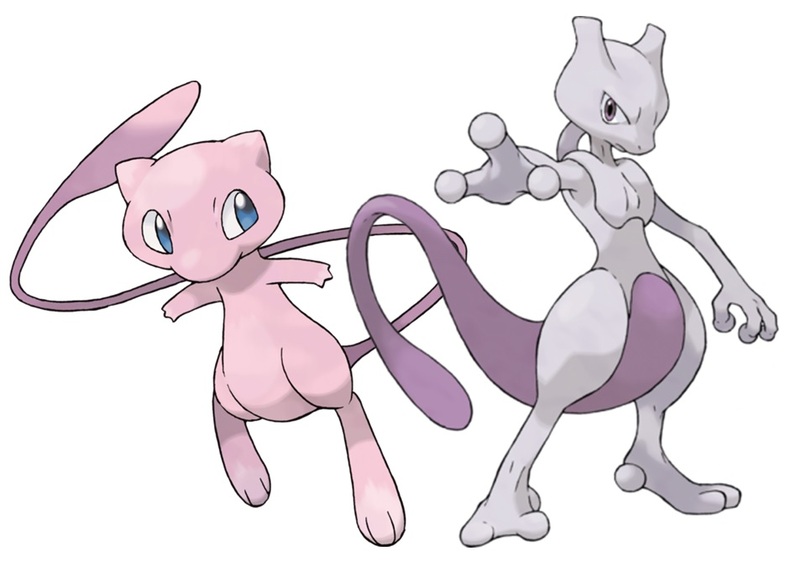 On the topic of Gen 1 Pokemon that have yet to appear in Pokemon Go – both Mew and Mewtwo are one of the most popular in the franchise. They’re so popular, that Mewtwo became a playable fighter in Super Smash Bros. Melee. They’ve got the star power that is sure to entice former Pokemon Go players to come back just so they can add these two to their Pokedexes. I mentioned that simply having the Legendary Pokemon spawn randomly like other Pokemon wouldn’t be fitting of their Legendary status, and this would be the same for Mew and Mewtwo – they should be made available in an event that’s truly special. There’s not much else to say, other than these two are popular enough to carry an entire event on their own. 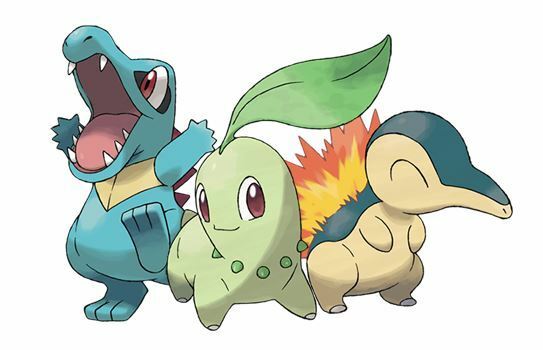 The Gen 2 Starter Pokemon (from left to right): Totodile, Chikorita, Cyndaquil. I was mystified when Niantic chose the baby Pokemon (Igglybuff, Cleffa, Pichu, Togepi, Elekid, Magby, Smoochum) as their first Generation 2 Pokemon in Pokemon Go. I mean, wouldn’t it make better sense to introduce Generation 2 by introducing the first ever Pokemon that you’ll get in the Generation 2 Pokemon games? But what’s done is done, and the baby Pokemon are only available via hatching eggs so a Generation 2 event using the Johto starters would still be fitting. At least the first ever Gen 2 Pokemon out in the wild would be one of the Johto starters. And that’s my list of special Pokemon Go events that I’d like to happen soon. I really think that interest in Pokemon Go revolves around completing your Pokemon collection, so Niantic really needs to start adding more Pokemon for us to collect. What do you think about my recommended Pokemon Go special events? Do you have any in mind that you’d like to experience? Let us know what you think by leaving a comment or two below! Were the Speed Limit Restrictions in Pokemon Go Necessary?